Guys when I was trying to figure out how to find the old data's which kamikaze_007 was looking for ,I tried to look for the answer ,I remembered I tried to download historical data before but it did'nt work using the old version. After that just follow this tutorial from this link ,Its under "Downloading Historical Data"
The last thing is to change the download from to "http://www2.pse.com.ph/html/Quotations/2011"
,Some csv files have todays (2/7/2012) data because when I was downloading it today the data for today became available so please still download the csv files for today that's on my previous post 2/7/12 .csv files so that you'll have complete data. Please backup your data first as it might conflict when you apply this. ...thanks...did I give you your +rep points already? You're welcome ,Upon reviewing the chart marami rin pala ako na miss na symbols ,Link is provided below this msg for a more complete data ,from time to time i'll update it here if I spot a data that I missed. (02-08-2012, 10:12 AM)Silime Wrote: Guys when I was trying to figure out how to find the old data's which kamikaze_007 was looking for ,I tried to look for the answer ,I remembered I tried to download historical data before but it did'nt work using the old version. Here's the data I've downloaded from 1999 to yesterday (2/6/2012) data ,Some csv files have todays (2/7/2012) data because when I was downloading it today the data for today became available so please still download the csv files for today that's on my previous post 2/7/12 .csv files so that you'll have complete data. Have just installed the pseget3beta but i cant download the historical data. Error says "the remote server ruturned an error 500)internal server error"
Ask ko lang sirs kung nakakapagdownload kayo? I am thinking it is just my setup or something that I am doing wrong. Also, naencounter nyo po ba itong error na ito, pahingi naman po ng solution. I have tried using the url links that I found in the forum to no avail. 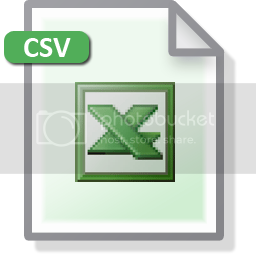 btw, i can download the stockquotes pdf and convert it to csv. the problem is just when i am downloading the historical data.